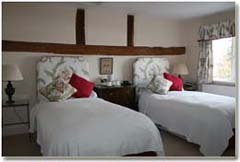 We have two bedrooms which can be doubles or twins with comfortable vi-spring beds. They both stand out for their comfort, traditional elegant style and have lovely views over the gardens and fields beyond. Both rooms are en suite and have power showers and baths. One room has a lovely panelled bathroom with a combined bath and shower and large walk in dressing room providing ample luggage space while the other has an en suite bathroom with separate bath and walk in shower. Each room has Sky TV for those who do not want to completely switch off from the rest of the world, and tea and coffee making facilities, radio/alarm clocks and shaver points. 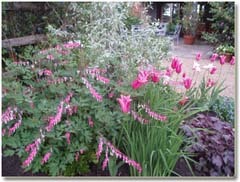 Richard and Jane are both keen gardeners and their award winning garden is planted for year round interest but is at its best in early summer. 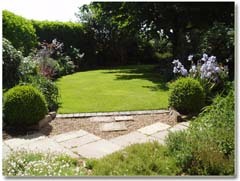 There are masses of spring bulbs and unusual herbaceous plants and hidden sitting areas. Guests can sit out and have tea on summer afternoons. Visitors can also visit the two acre demonstration garden at The Farm Shop which is free to wander round and has a plant sales area and tea room. One acre is dedicated to unusual herbaceous and the other to old fashioned roses. The Hiller Farm Shop Garden is one of David Austin's largest suppliers. Cheques made out to 'Salford Farm House' please. 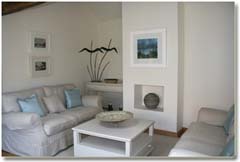 We do require a small non-refundable deposit to secure a booking. Cancellation charges apply and you will be liable for 30% of the total charge if you cancel within 28 days of the visit; 60% if you cancel within 13 days and 80% if you cancel within 48 hours. Please note we are a non-smoking house. Arrival time after 4pm please.